Wondering where in the Star Wars universe you can relax for some R&R? Well, someone actually made a handy travel guide just for you. If you’re even remotely interested in Star Wars, you’re probably counting the seconds until Rogue One hits theatres… Or maybe you’re reading this in the future and already know whether or not Jyn Erso and company manage to steal the Death Star plans, in which case don’t spoil! Though in fairness, they probably do, otherwise A New Hope wouldn’t have been possible… Still, it’s not like people watch Star Wars for the plot and continuity! We watch it for the characters, the atmosphere, the eternal struggle of good vs evil, and, of course, that wonderful, beautifully imaginative galaxy far, far away. 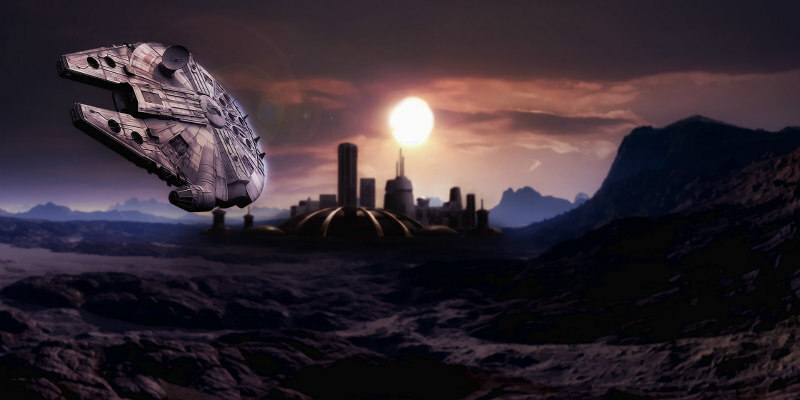 The Star Wars universe is one of the most beautifully realised, thanks to decades of movies, TV shows, books and videogames, and if you don’t believe us, all you need to do is take a look at this Star Wars travel guide which details the best vacation spots in the galaxy, in case you ever decide to visit. Surprisingly, Hoth’s Wampa Mountain somehow made it onto the list, but hey, I guess it makes for a good adventure spot?